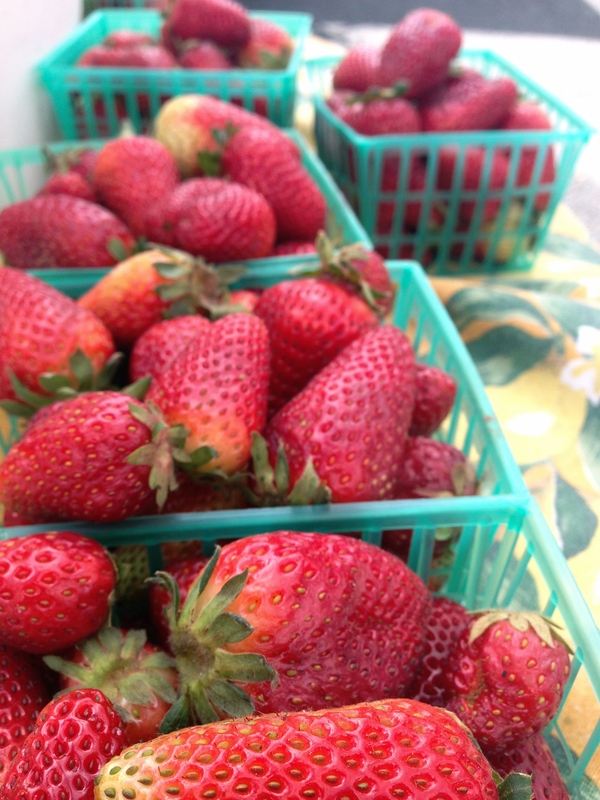 Farmers Market Finds | Search Results | Club Dine In! Posted on June 10, 2013 by Club Dine In! I’ve been to the grocery store at least four times this past week. I know, it sounds ridiculous right? It wasn’t because I hadn’t planned properly or was cooking up a storm each night. I started a new job as the nutrition and culinary instructor for Mission High School’s summer school program. I am teaching a total of 150 students each week basic nutrition and cooking skills. It really is a great program to introduce these students to concepts delicious yet healthy foods. 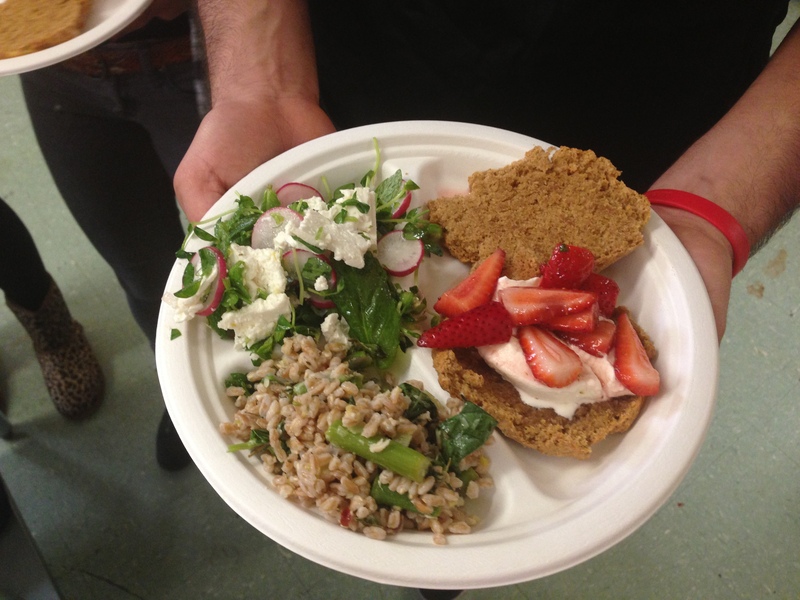 Last week, the students made kale and goat cheese frittatas and strawberry protein smoothies. I have to admit, I got a little ambitious introducing kale and goat cheese to the students at once on the first day of class. Most of them did not know what kale was and some of them were really grossed out by the fact that goat cheese comes from goats. Lesson learned. This week, I am going to teach them the importance of reading labels and choosing foods with as few ingredients as possible. Instead of using canned or bottled pasta sauce, they can make their own sauces and pestos from scratch using local, fresh ingredients. I bought cherry tomatoes and the ingredients to make basil pesto from the farmers market today. I will try to Instagram how everything turns out tomorrow during break or after class. 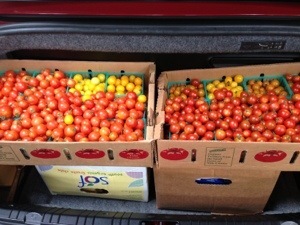 My trunk full of tomatoes and ingredients for Monday’s meal. 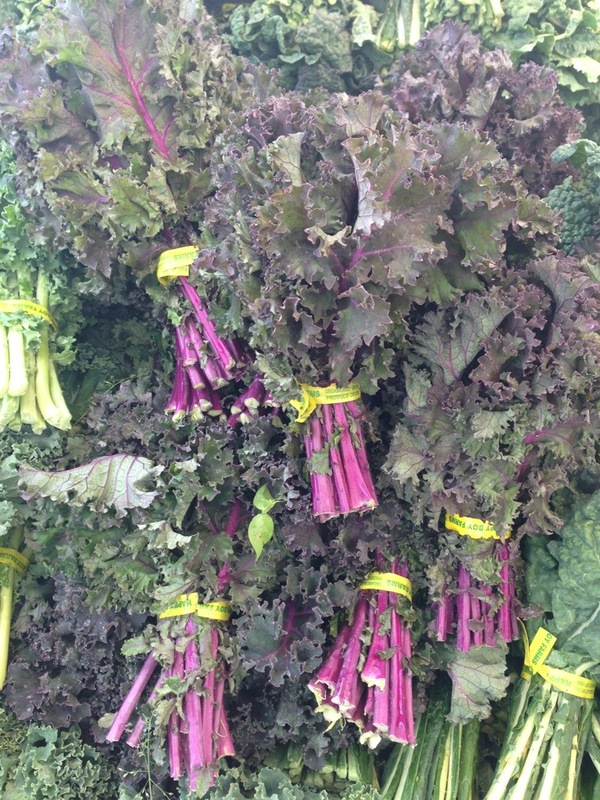 Even though its been super windy and miserably gray in San Francisco, the farmers market is full of bright colors. 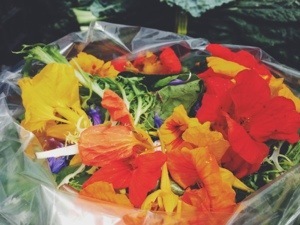 I love to get a bag of mixed salad greens from Happy Boy Farms, because they always top the bag with edible flowers. Edible flowers also contain antioxidant properties. Posted on June 3, 2013 by Club Dine In! I didn’t spend too much time at the market this week. 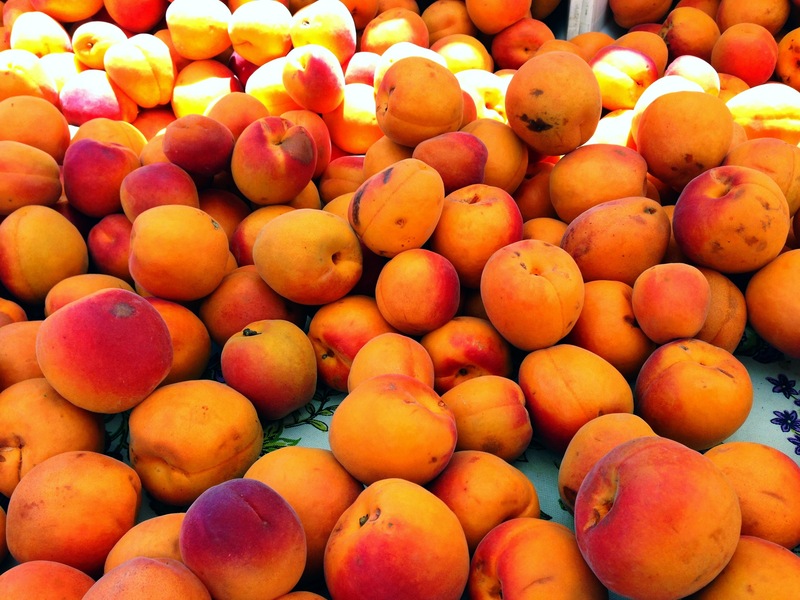 These brilliant hued apricots caught my eye. They actually look like peaches. It was also nice to find several varieties of cucumbers. I picked up these lemon cucumbers. Maybe it’s the warmer weather, but I’ve had major cravings for crunchy food with high-water content. I’m looking forward to melon season. Posted on May 13, 2013 by Club Dine In! It was gorgeous day at the Farmers Market. Everyone seemed livelier, maybe because the sun was briefly out and it was Mother’s Day. There were more people than usual too. I was in bit of a hurry and could not chat much with familiar faces or stop to take beautiful photos. I needed to pick up a few ingredients and quickly prepare for our Mother’s Day picnic and hike. Though, I was delighted to find lots and lots of squash blossoms. We are going to eat amazing frittatas and snacks this week! Squash blossoms are the flowers of zucchinis. They are delicate and are a special treat. 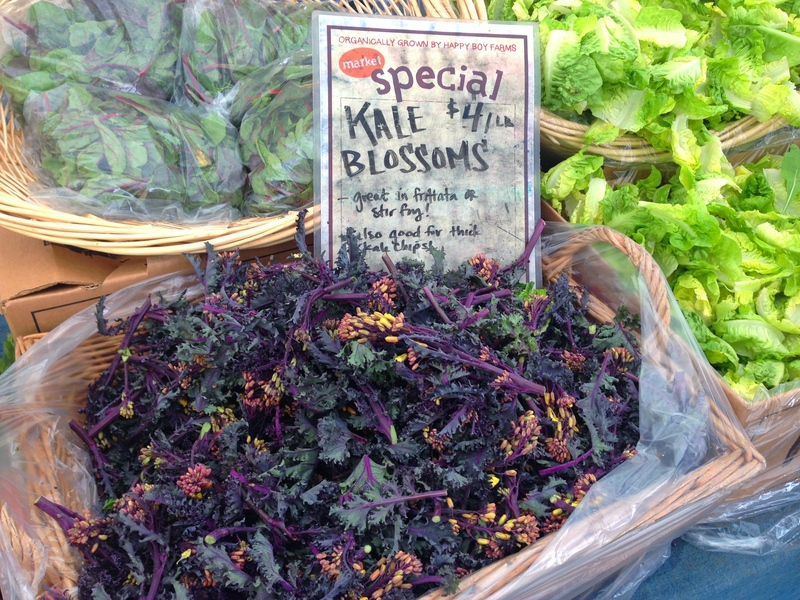 The blossoms go quickly at the market and don’t last long in the heat or fridge. I usually use them up within a few days of buying. 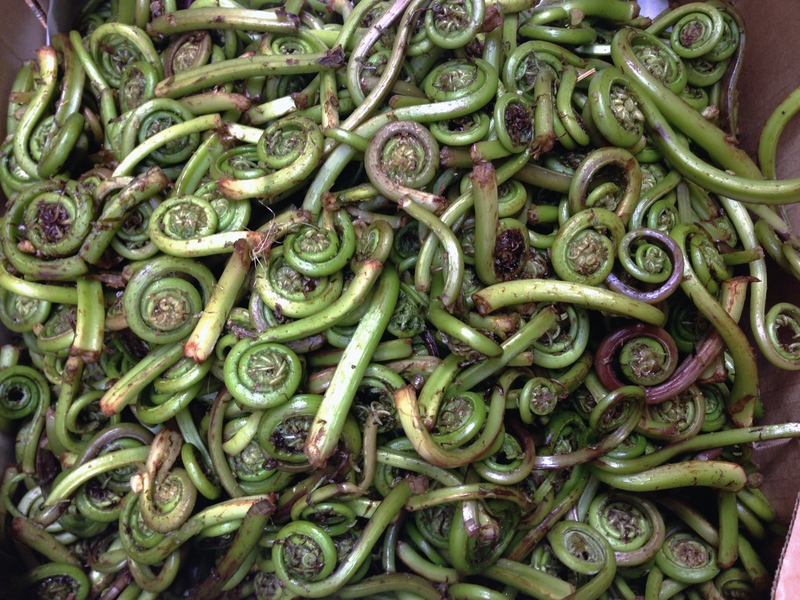 They can be eaten raw, slightly sautéed, or stuffed and fried. The blossoms come off as exotic, so it’s fun too serve them at a special meal. At restaurants, I loved eating them on pizzas, but it’s hard to find speciality gluten-free pizza. I couldn’t resist taking a photo of these beauties. A tradition only started last year, my brother and I choose a local state park to have a picnic and hike with our parents. We thought it would be a nice way to spend quality time with our parents and get them to hike, something they normally do not do on their own. We try to keep the hike moderate, so it’s enjoyable for everyone. Walking amongst the giant trees sparks interesting conversations. It’s also a nice alternative to worrying about reservations and dining out. 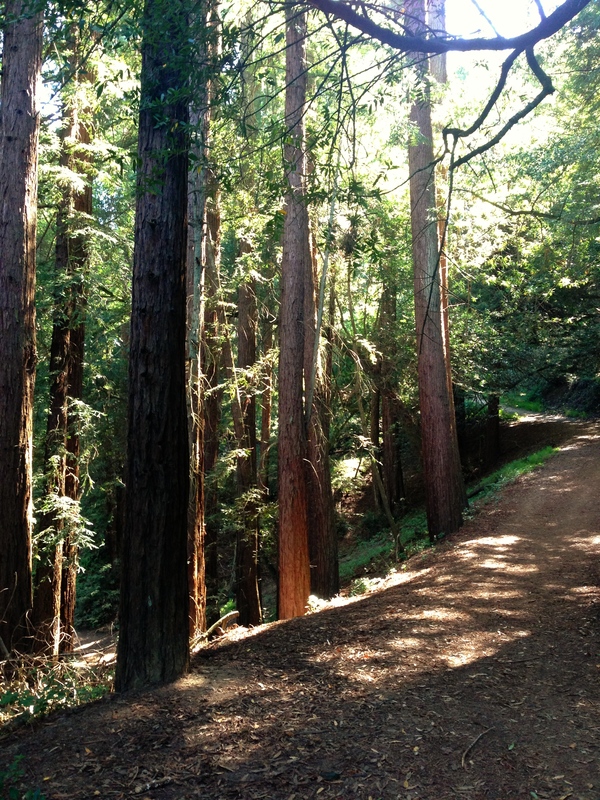 This year, we went to Roberts Regional Park in Oakland. We live nearby so many state parks, but have not visited half of them. Mother’s Day is our new reason to explore the parks and trails around us. After a small, homemade picnic, we went for a moderate hike. 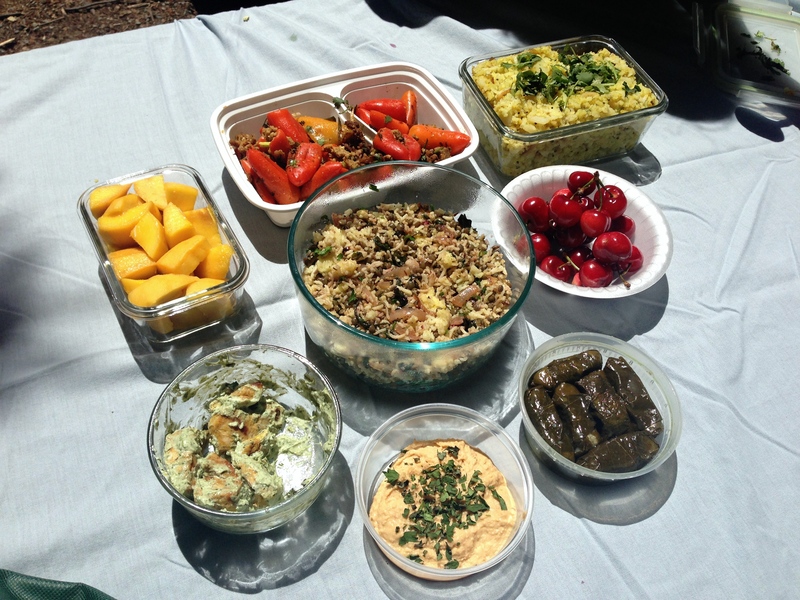 We had pea pesto marinated chicken, turkey stuffed bell peppers, poha (spiced flattened rice dish), lentil and chard pilaf, dolmas, spicy hummus, mangos, and cherries. A very ethnic and delicious picnic. 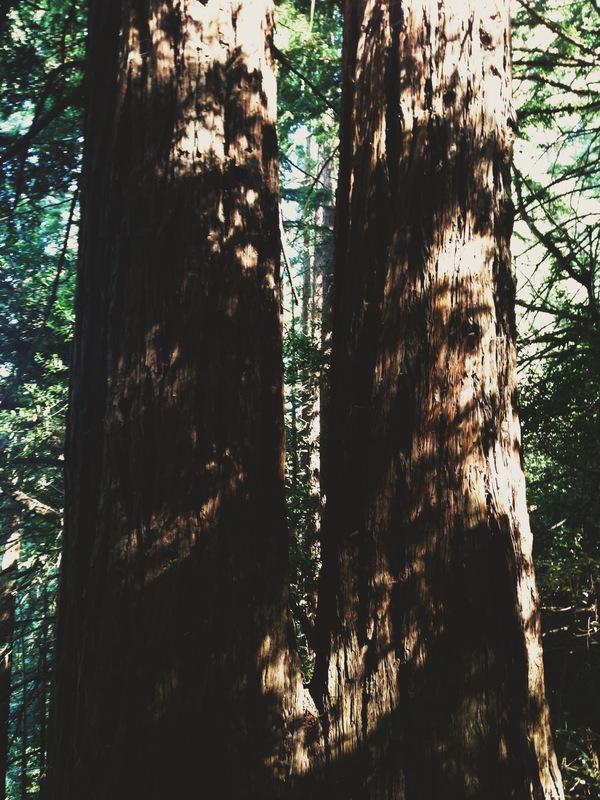 I am so thankful to live within half an hour of these beautiful redwoods. The air was amazing. 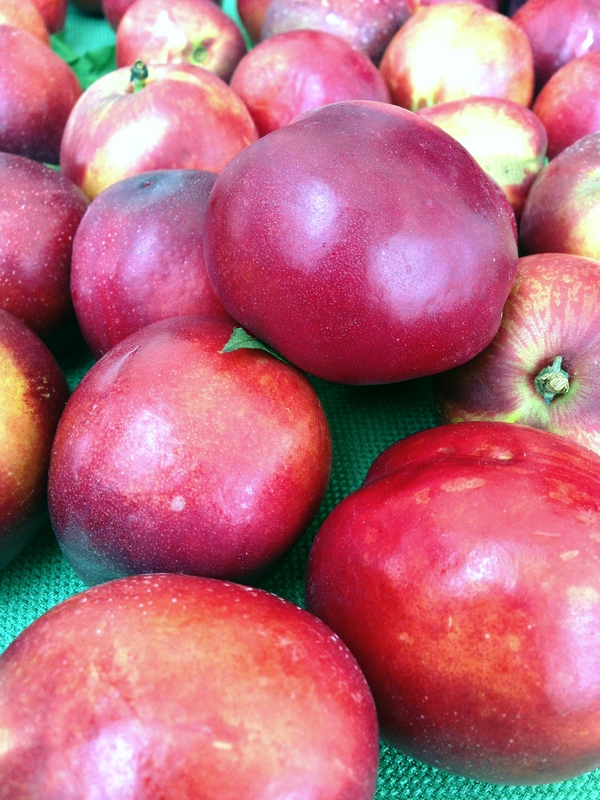 Farmers Market Finds: Blueberries, Cherries, and Nectarines! Posted on May 6, 2013 by Club Dine In! 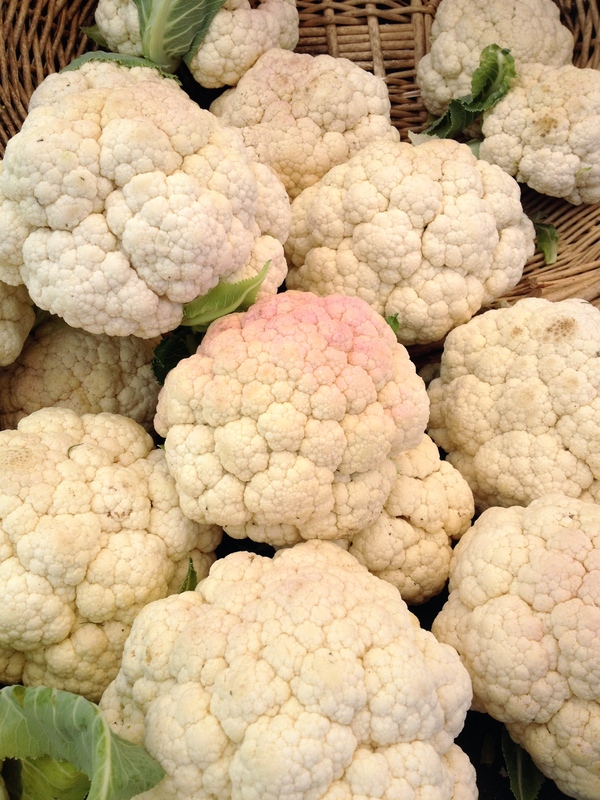 I was totally blown away at the farmers market today. My most favorite fruit ever is in season! Blueberries. I love blueberries. They are just so beautiful, taste heavenly, and are a purple food. 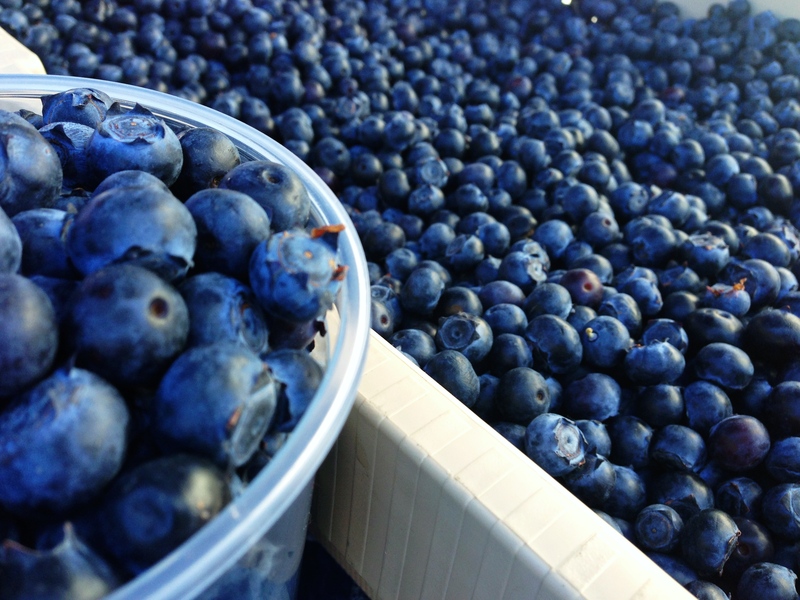 Blueberries rate among the highest in fruits and vegetables for antioxidants. Researchers have found that the compounds in blueberries reduce the effects of age-related conditions (e.g. Alzheimer’s and age-related macular degeneration). Blueberries act in the same ways as cranberries to promote urinary tract health. 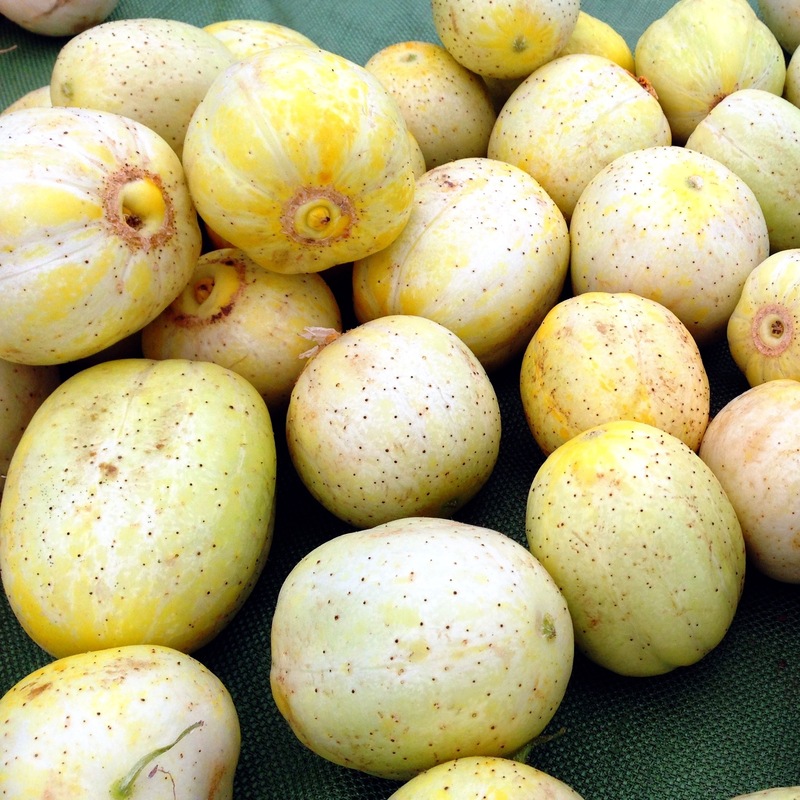 They are also full of fiber, loaded with vitamins and minerals, and are low in calories. 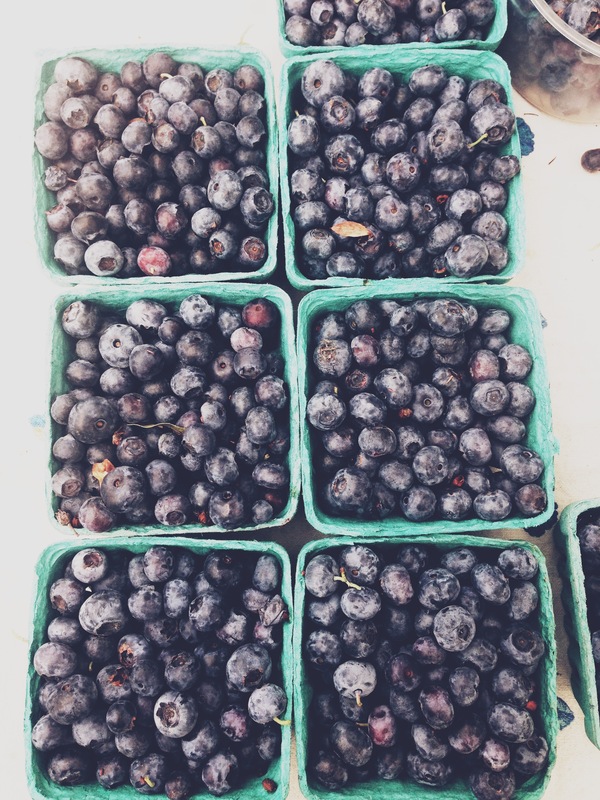 Blueberries are one of those foods that you should buy organic. The blueberries I bought today are not certified organic, but the farm is in transition and it will take them sometime before they will become certified. 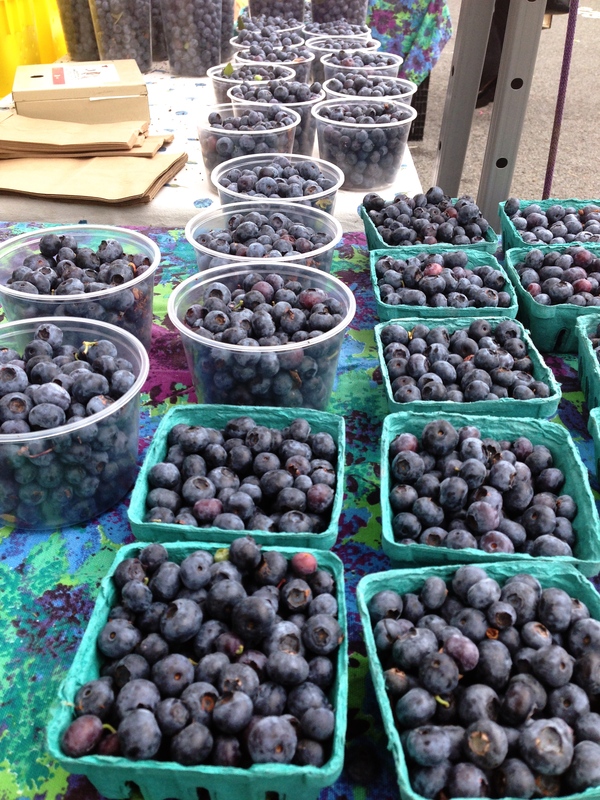 I also bought the blueberries from Serendipity Farms, who is selling it on the behalf of another farm. Jamie, the farmer, has become my friend over the years. I trust her and visit her stand weekly. When Jamie posted a picture on Facebook about their first crop of blueberries, my mouth started to salivate. I immediately wanted to make buttermilk blueberry pancakes (gluten-free, of course), compote, salads, and top them with my homemade granola. I just ended up eating the entire basket of blueberries with my husband and dad. Next week, I’ll find more interesting uses for them. Spring is really short at the farmers markets. 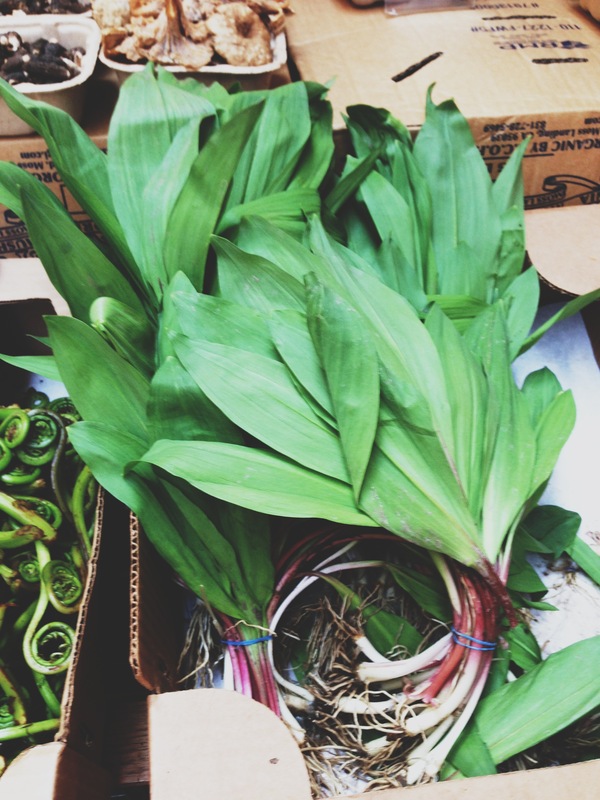 Summer and winter produce last for months and months, but ramps, green garlic, asparagus, and English peas seem to only be around for two short months. Even though it’s foggy and cold in San Francisco, it has been really hot in the farm country just outside of the city. Which means, the early arrival of summer produce. 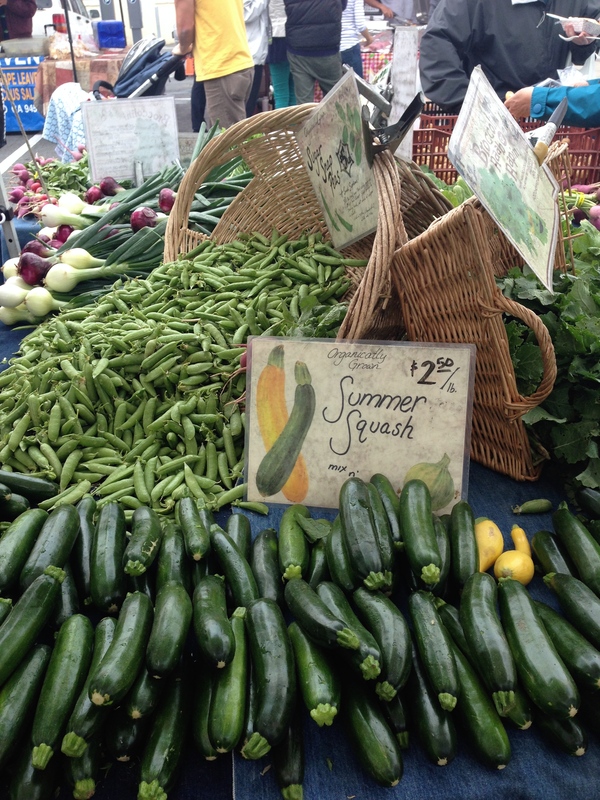 This week there were stone fruits, zucchini, squash blossoms, and three varieties of basil! 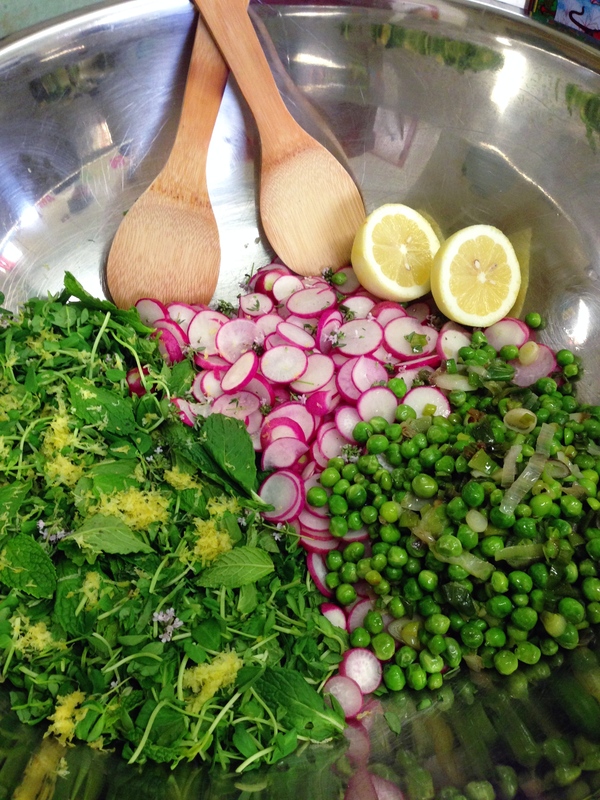 The intermingling of spring and summer produce at the farmers market is going to make for some delicious meals. Checkout my Pinterest boards for recipe ideas. 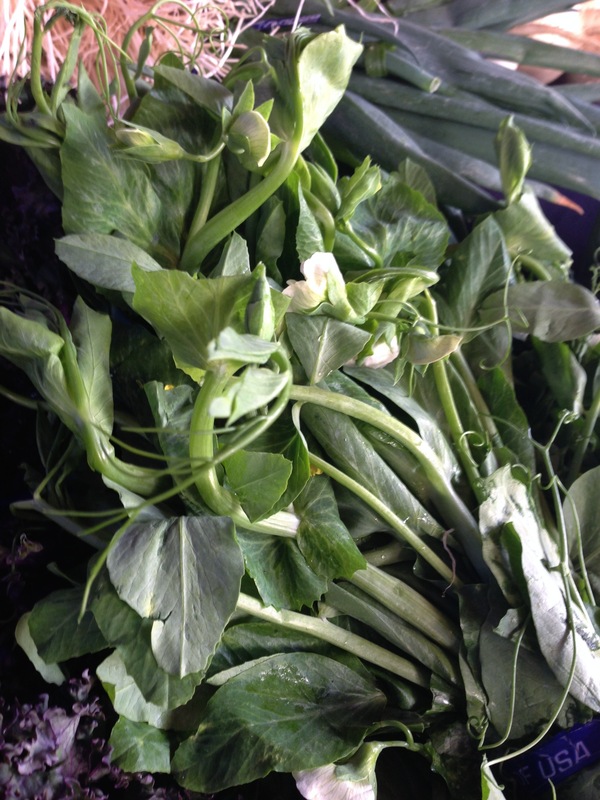 Spring onions, sugar snap peas and zucchini from Happy Boy Farms. 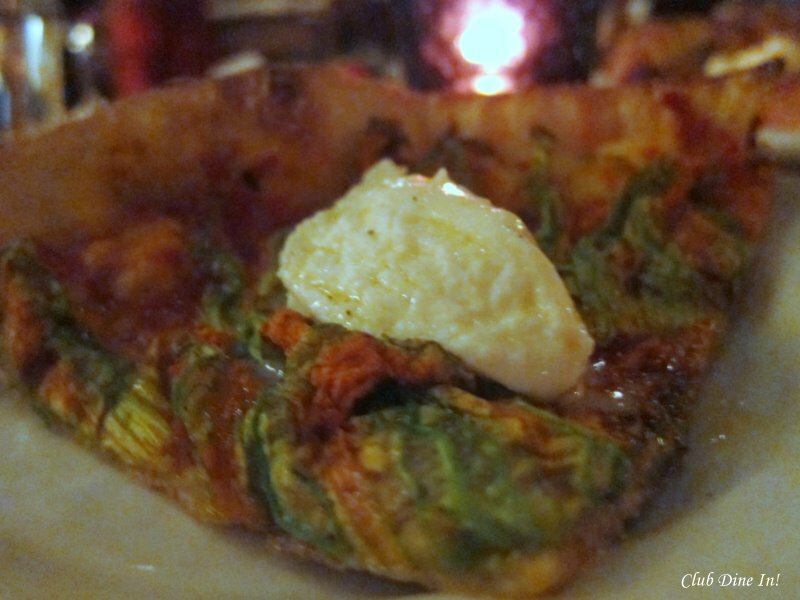 I absolutely love squash blossoms as well. 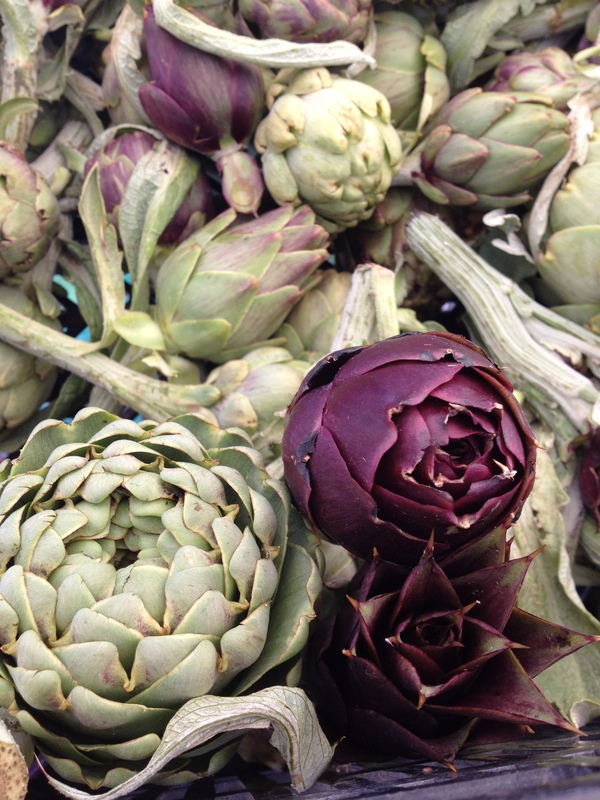 They have a delicate, nutty flavor and taste great on salads, pizzas, and frittatas. However, I refused to buy these since they were unnecessarily packaged in plastic bags. Major environmental fail. 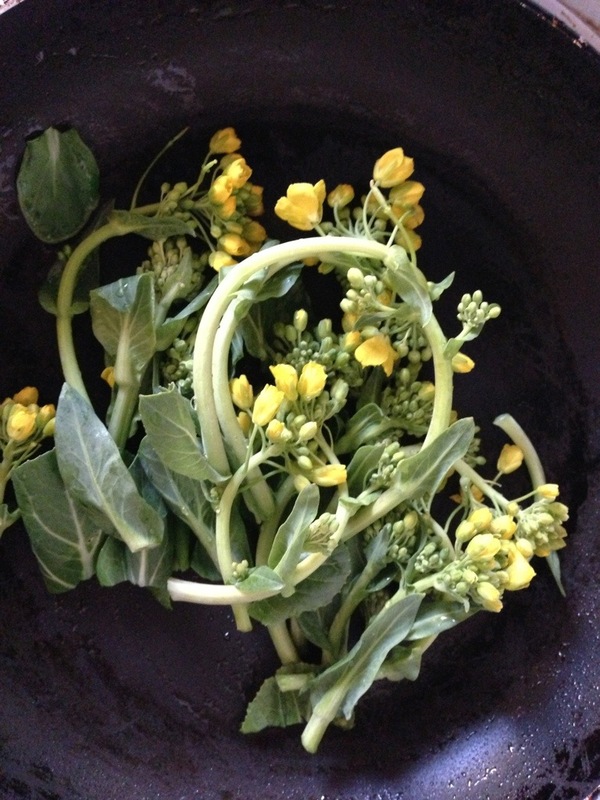 Kale blossoms are also a short-season food. Cook them like you would broccolini. Happy Boy Farms. What is your favorite super food? Posted on April 21, 2013 by Club Dine In! 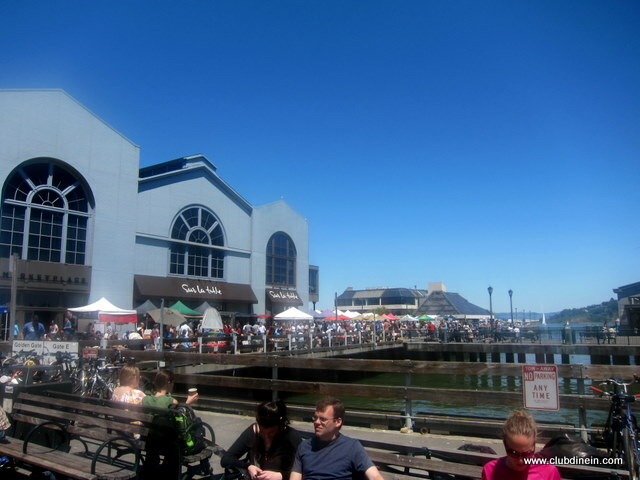 I decided to break away from my usual farmers market routine and visit the Ferry Plaza Farmers Market. 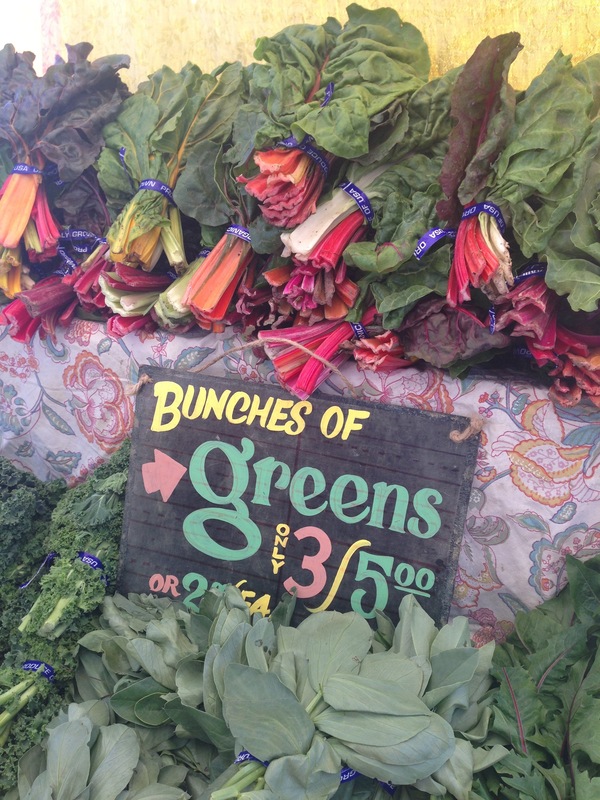 There are so many reasons why I love this farmers market. 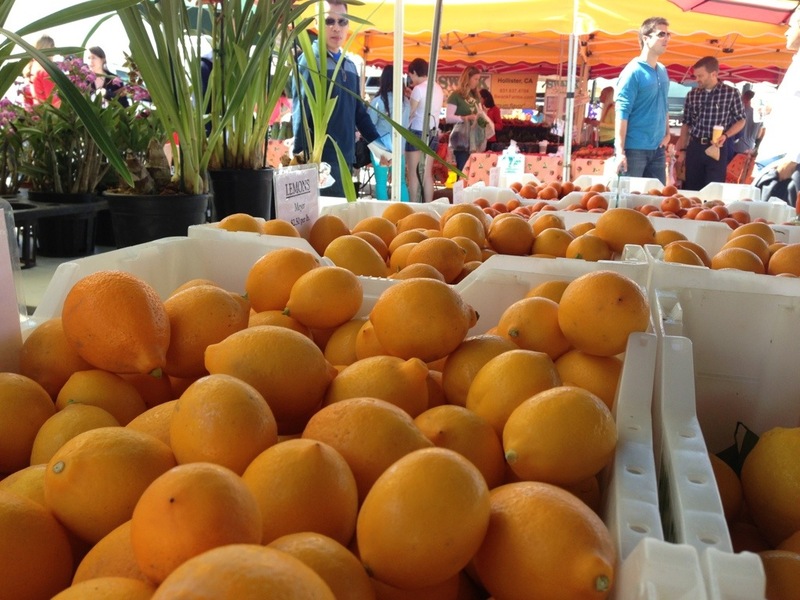 It is hailed as one of the best farmers markets in the country and the diversity of farm fresh food is astounding. I believe in the summer, you will be able to find over 75 varieties of tomatoes! For all the reasons listed below, it can get very crowded and even hard to move when the weather is nice. Therefore, it is wise to go on the earlier side if you want to get the best selection. The location is magnificent. There is an intermingling of locals, tourists, chefs, and celebrities. The farmers are all verified and have sustainable farming practices. 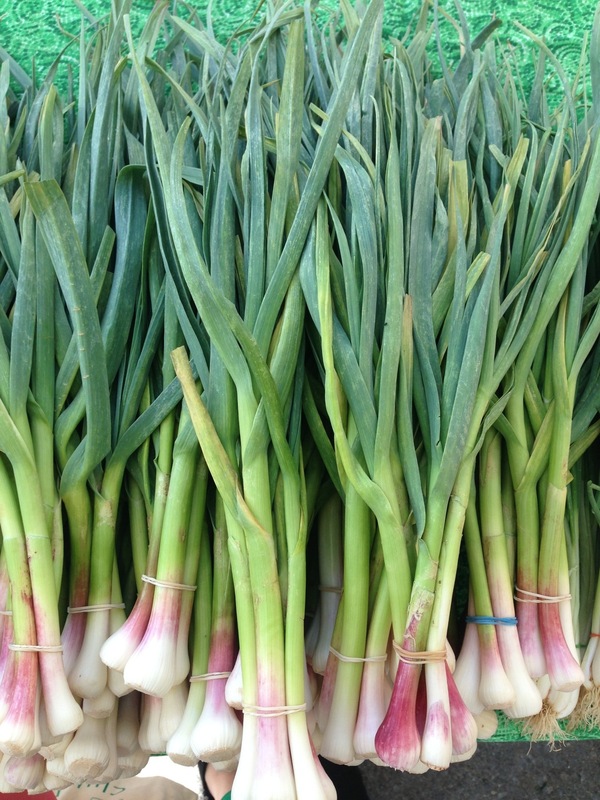 CUESA’s website has detailed information about the farmers, seasonality charts, and recipes. 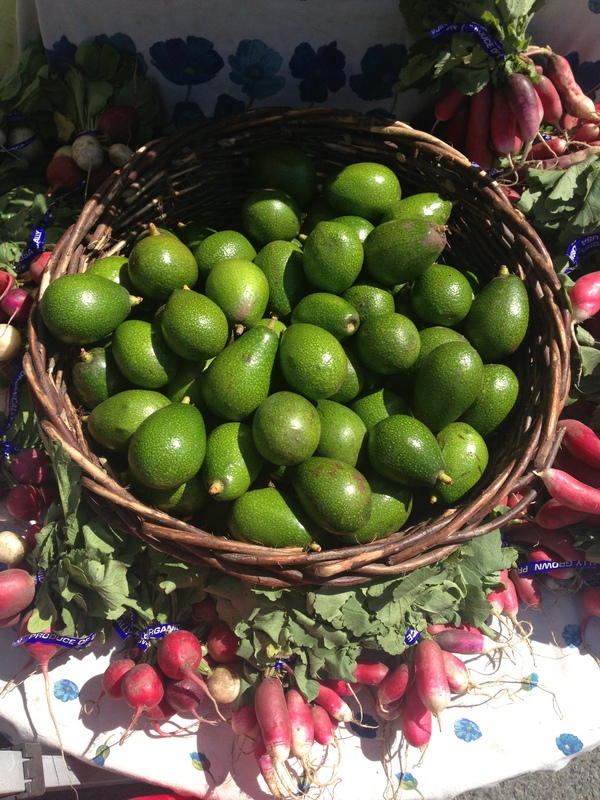 They also send out a free weekly eletter highlighting the current seasonal food, upcoming events, recipes, and spotlights on volunteers and farmers. The ever so rare and coveted ramps. 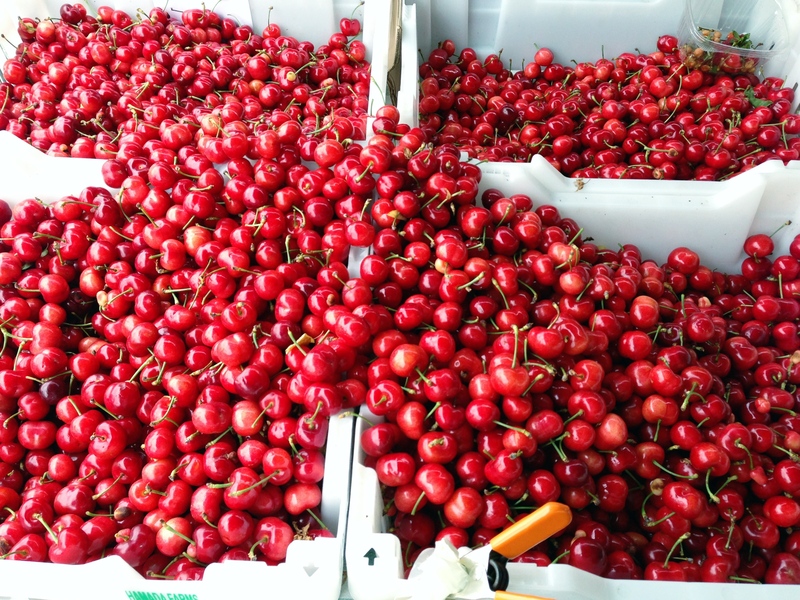 The farmers who sell at this market go through an application process and only those who meet CUESA’s guidelines on sustainable agriculture are accepted when there are openings. I definitely feel more comfortable and safer when I buy from these farmers. Sawn, the gentleman pictured, enlisted his farmer friends to recruit shoppers to help him out on the proposal. 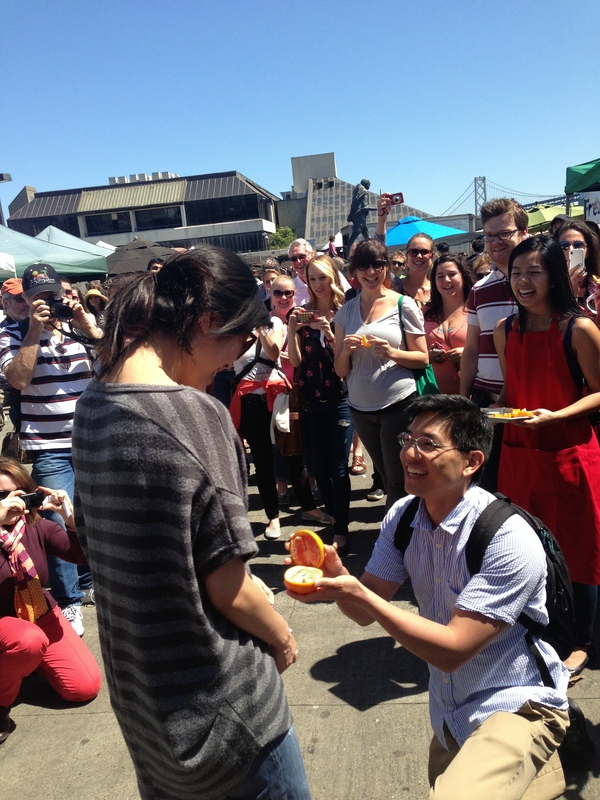 The crowd recited a question to the unsuspecting girlfriend in unison and Sawn got down on one knee to propose. The girlfriend was in disbelief, but did say yes! Oh, yeah, the ring was inside of the Cara Cara orange! The diversity of food is incredible. 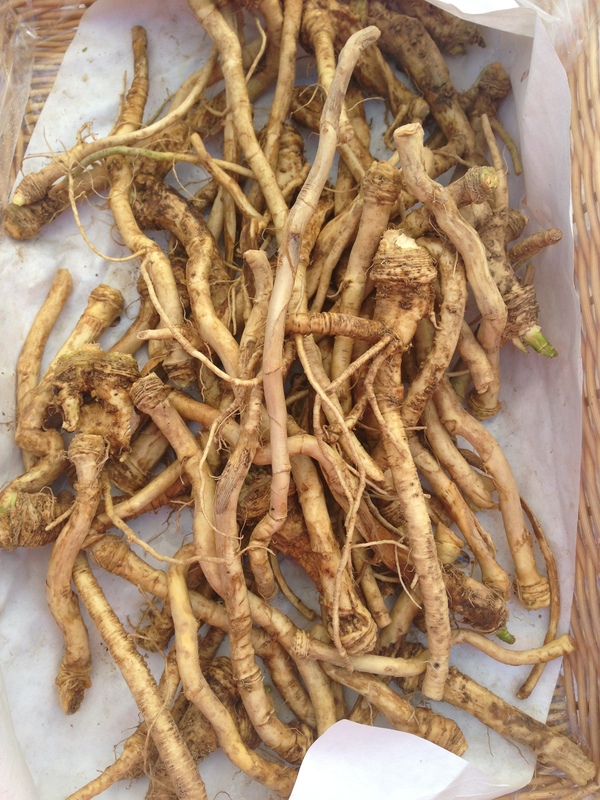 Chefs and serious cooks come here early in the morning to pick up things like horseradish root (pictured), green strawberries, and ramps for their restaurants. I know, many locals complain that this farmers market is too expensive. I agree, most things cost a bit more at Ferry Plaza Farmers Market. 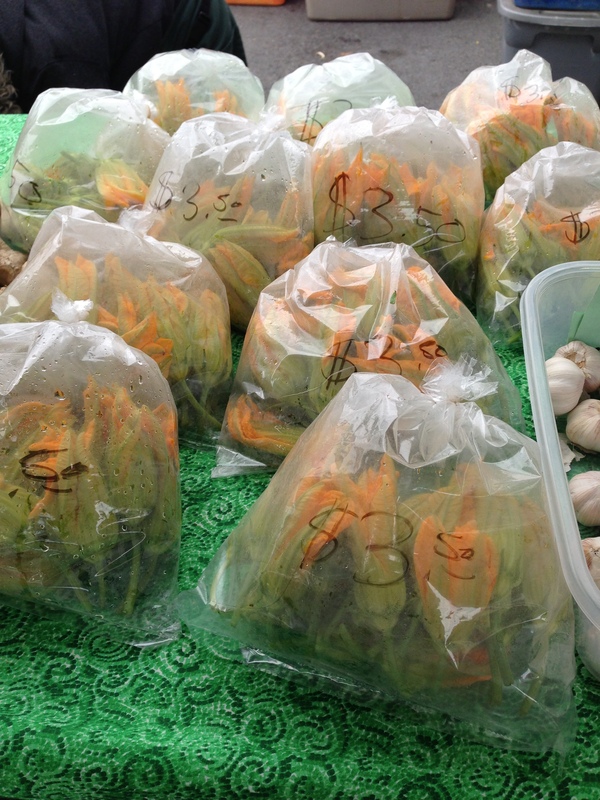 One of the reasons for the higher cost is that farmers pay a higher stall fee to set up and sell at this market. This fee is not for profit, but goes back into all of the amazing and positive things CUESA does for the food system. 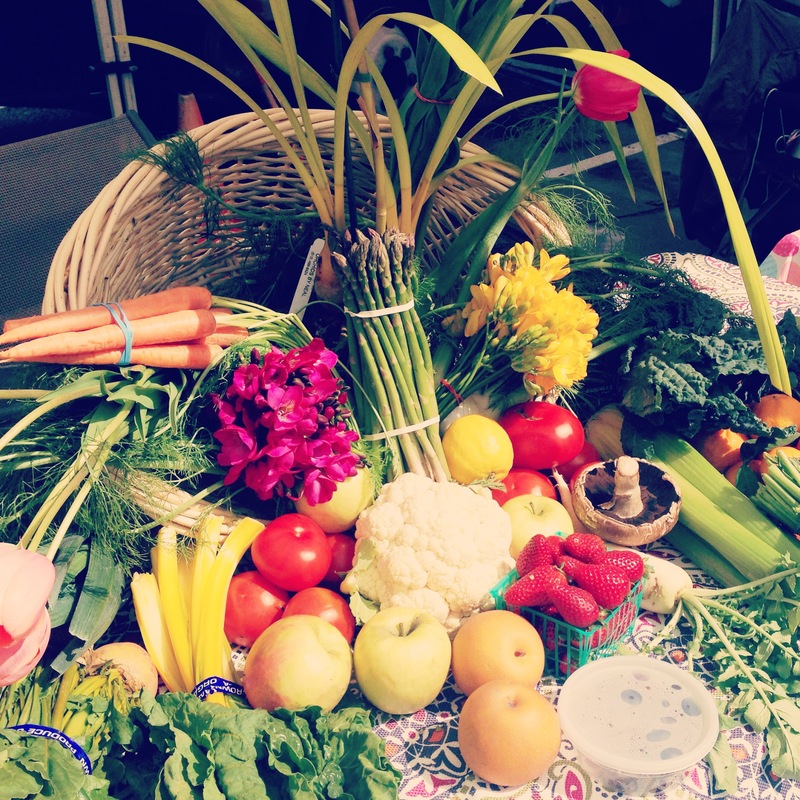 Each week, CUESA puts on educational demos, classes, and exhibits for people to learn about food and agriculture. 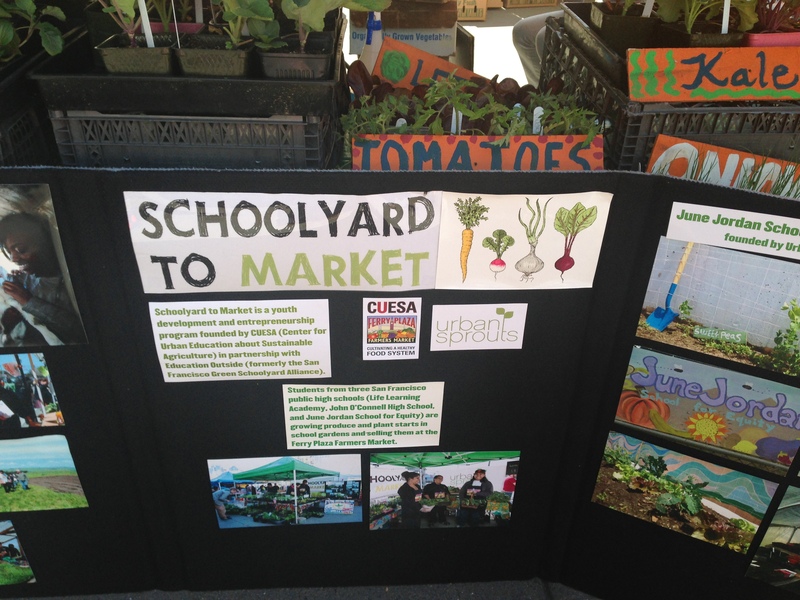 CUESA is a nonprofit organization and largely run by volunteers. 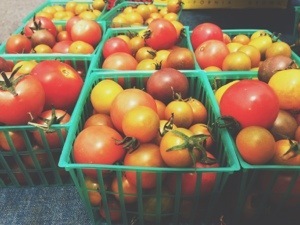 The awesomeness of SF is that we have roughly 22 farmers market each week! 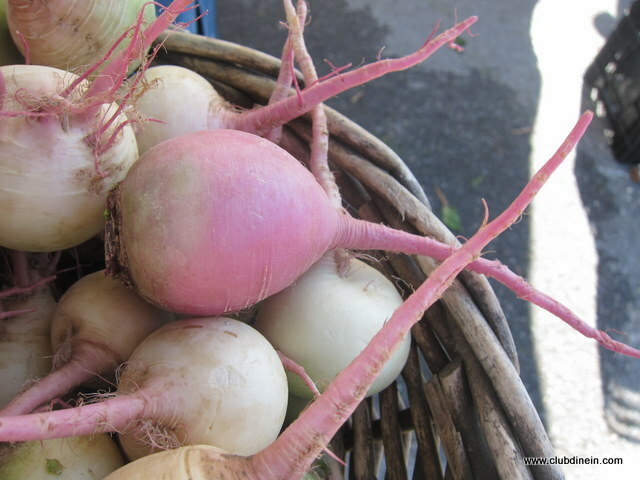 We are lucky to be choosy about where we get our local, seasonal food. Posted on April 7, 2013 by Club Dine In! I am participating in San Francisco’s very first food hackathon this entire weekend. Thus, no trip to the farmers market for me. I will have to stock up my fridge with fresh produce tomorrow. I will leave you with a few snaps of veggies and fruits I always keep stocked. Happy Sunday! Tatsoi- is a cross between broccoli and spinach. Tastes amazing steamed and sprinkled with salt and pepper. I always keep mixed cooking greens on hand. They are versatile and make great main and side dishes. 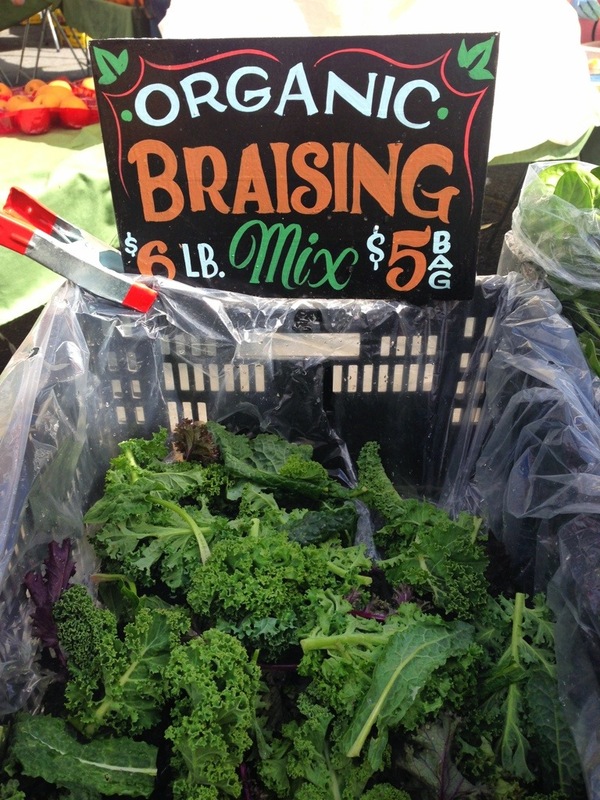 Kale- need I say more! Lemons brighten up any dish and are handy to keep around. I also drink warm water with a squeeze of lemon every morning to get my system going. Which vegetables do you normally keep around? Posted on March 18, 2013 by Club Dine In! Today was the perfect Spring day. Bright and sunny, without the iconic San Francisco fog. The farmers market was bursting with activity and I feared I was too late for the first crop of the asparagus. 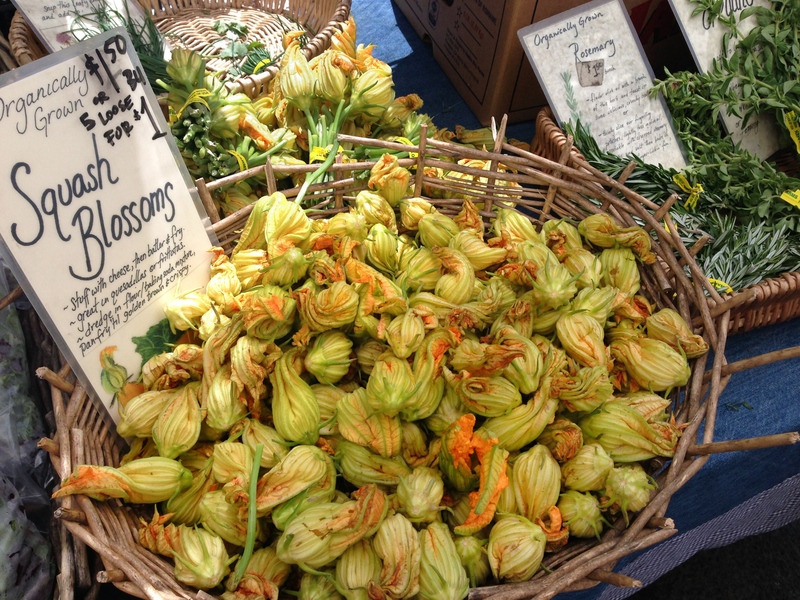 Things like asparagus, pasture-raised eggs, and squash blossoms always go super fast at the markets. There comes a certain time each quarter of the year when I begin to anticipate the arrival of new crops as I become bored with the current selection. Subtle signs like hearing more birds chirp outside the window and cherry trees blossoming throughout the city, get me thinking about all of the recipes I can revisit. As I walked through the market, I was mesmerized by the subtle changes taking place at each stand. 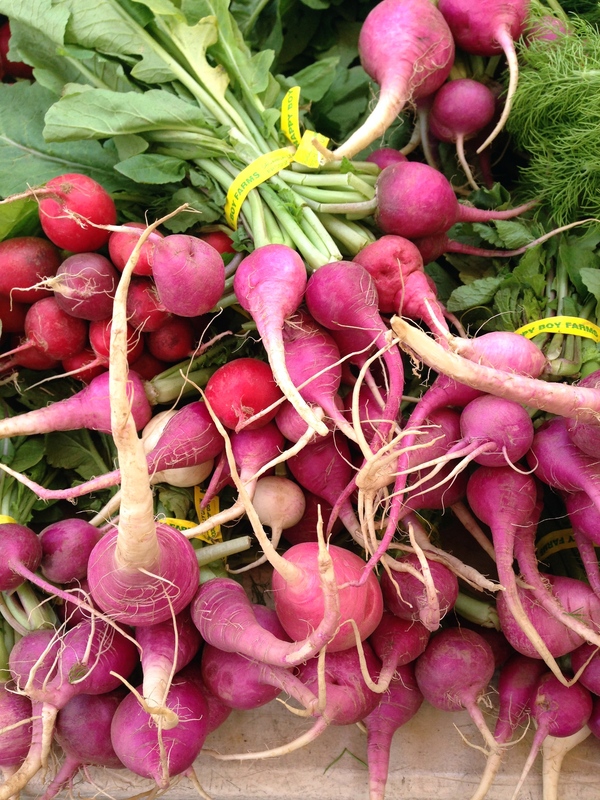 The cusp of a seasonal change is the best time at the farmers market. 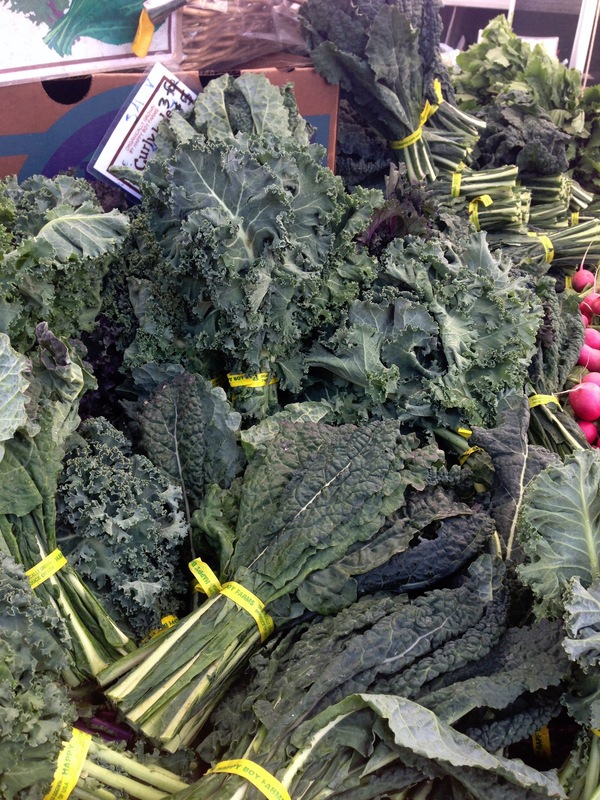 Vegetables such as rainbow chard and broccolini are still available as the pea shoots and asparagus become abundant. 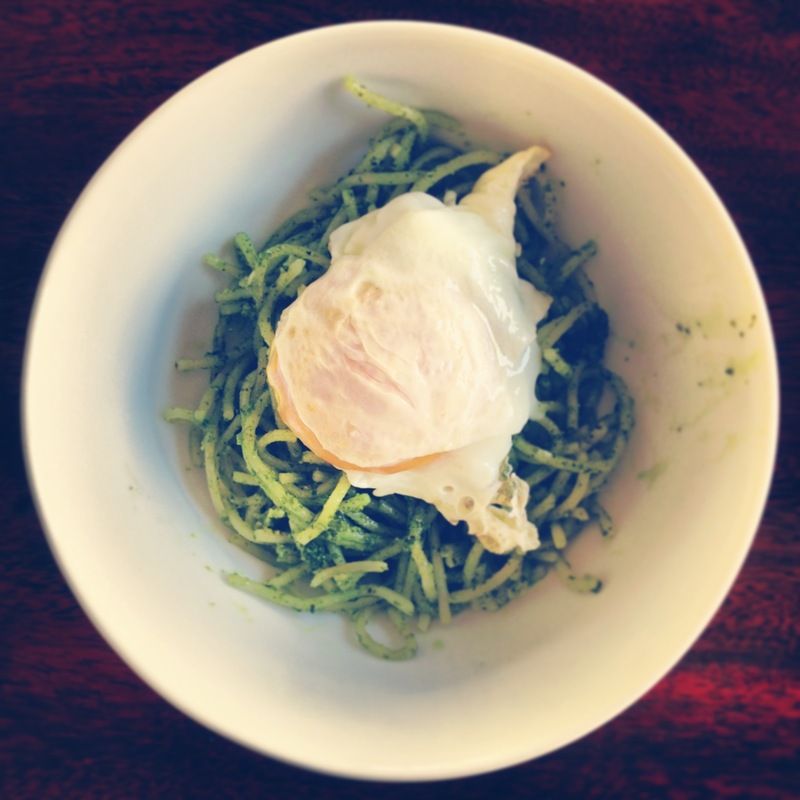 This kind of availability can really kick up the creativity in the kitchen and lend to more variety in your meals. Nevertheless, I was able to get a few of the remaning stalks and texted my friends to come over for brunch. I made grilled asparagus topped with sautéed onions and fried eggs. We also had a salad made out of roasted watermelon radish, arugula, walnuts, and feta cheese. My husband did the honors of pouring freshly squeezed Cara Cara orange juice. Real eggs are supposed to be this rich in hue. 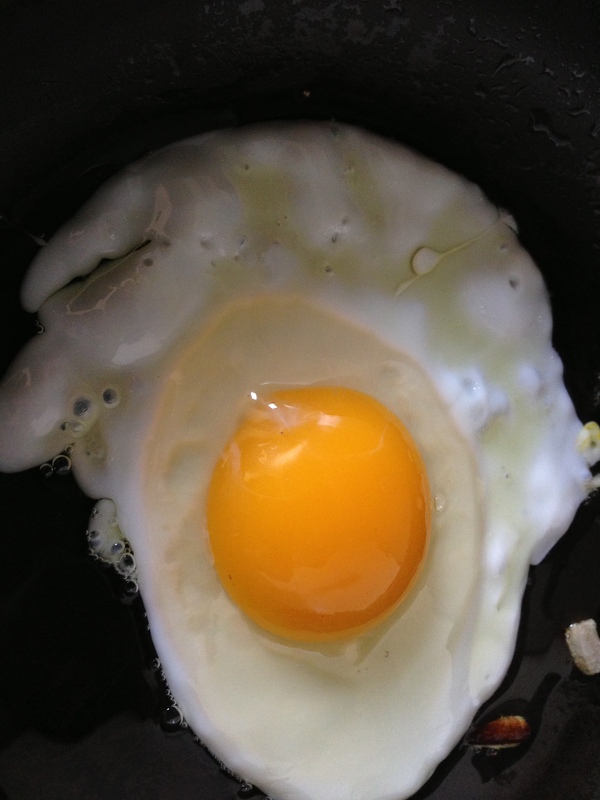 Pale, neon yellow eggs are the biggest signs of low-quality, factory-farmed eggs. 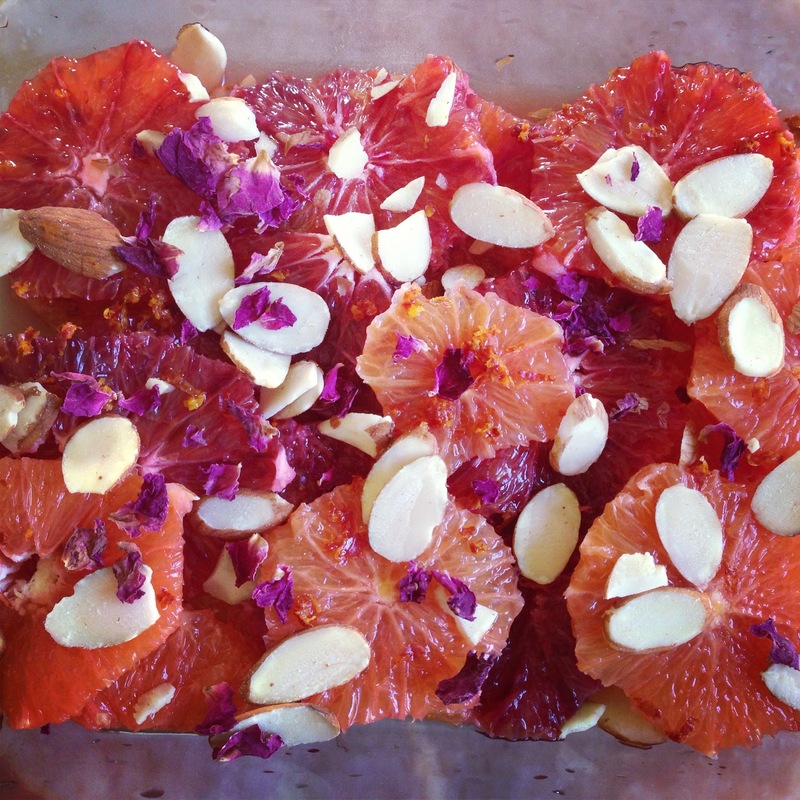 Eat vibrantly! What are you anticipating for the Spring season?